There really aren’t many truly windproof umbrellas on the market. This smart white Stormfighter is a rare exception. This stealth fighter shape windproof umbrella has been tested at wind speeds up to 100 km per hour (60+ miles per hour). 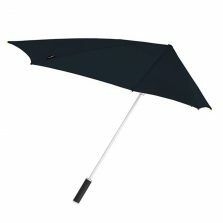 This stealth bomber umbrella or stealth fighter umbrella, as many people refer to it, is an amazingly strong windproof / stormproof umbrella. 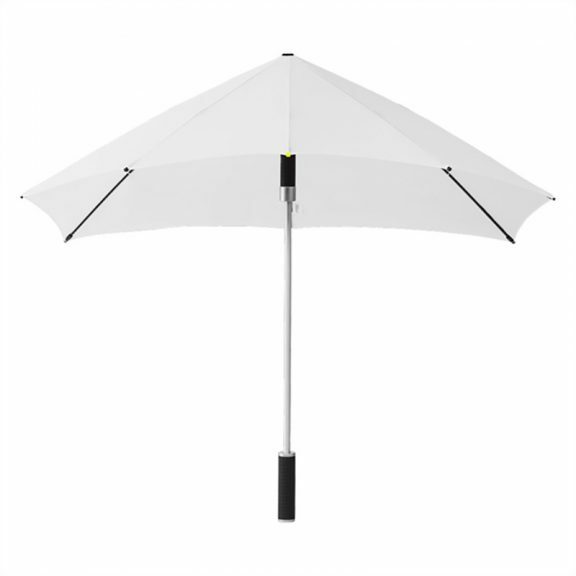 It’s aerodynamic delta wing shape makes it a totally stormproof umbrella, possibly even hurricane proof! 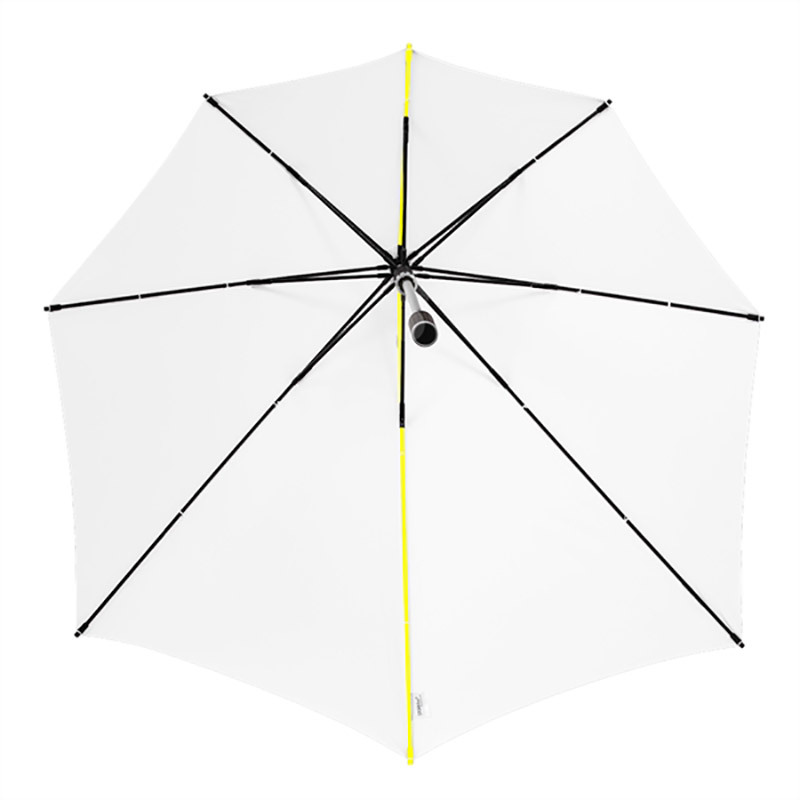 A true technical innovation, the Stormfighter is a white aerodynamic stormproof umbrella that has been wind tunnel tested at speeds of up to 100 kilometres per hour, that’s well over 60 miles per hour. 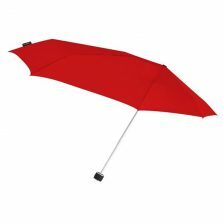 This powerful stormproof umbrella has an aluminium shaft, fibreglass frame and rubber coated handle. 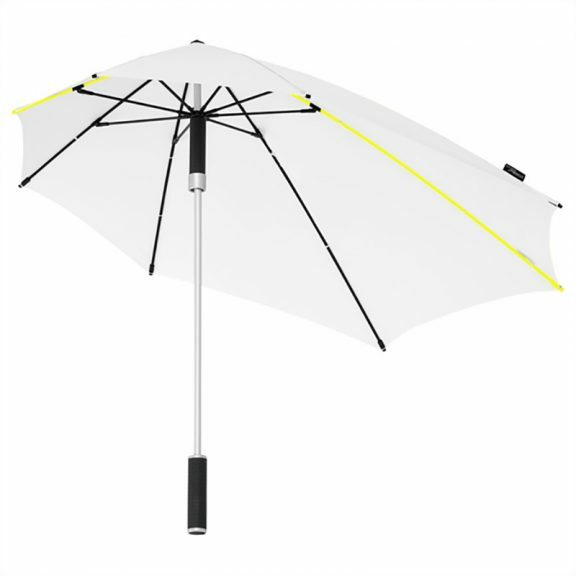 Due to it’s clever design, this aerodynamic stormproof umbrella automatically finds the best – and most comfortable – wind position. No gust of wind will turn this umbrella inside out. The perfect visibility and strong windproof frame all contribute to sustainability and ease of use, in all weather conditions! 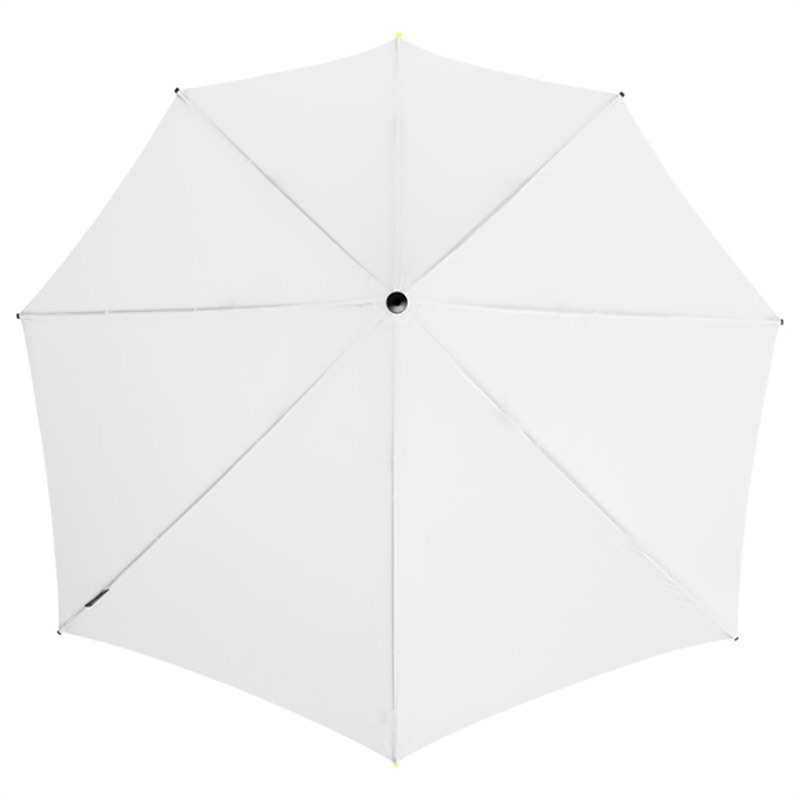 Functionality, quality and style from this amazing storm proof white umbrella. Wage war on the wind! If you’re fed up of binning broken brollies then this new technically superior Stormfighter windproof stealth umbrella could be for you. 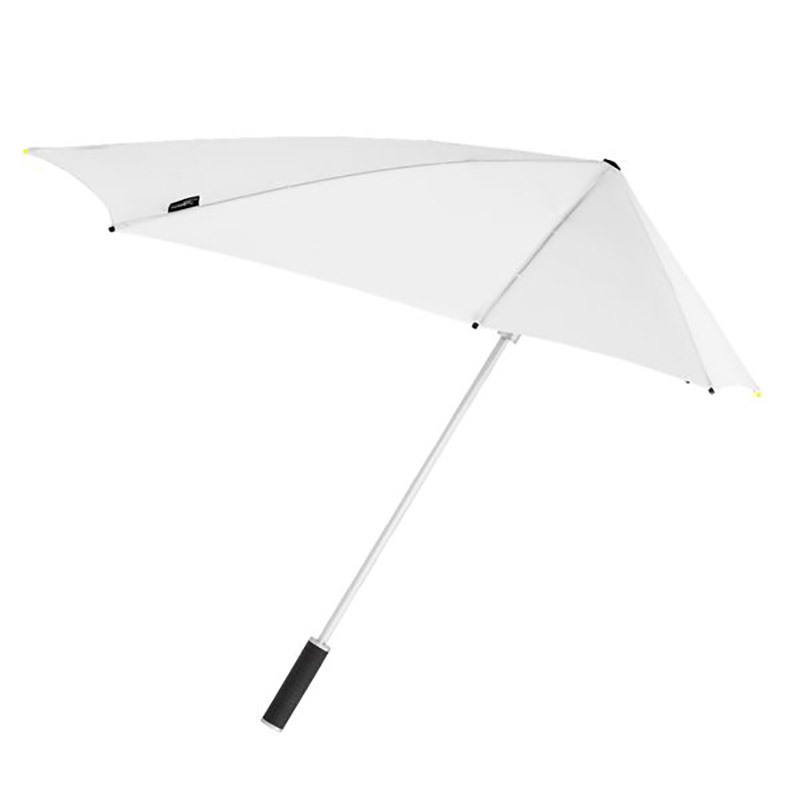 We think this could technically be the strongest umbrella in the world. If you buy one from us, please send in your video showing how you use it in action and we’ll put it on our blog and Facebook page, etc. The white Stormfighter Stealth Windproof Umbrella is available in other colours including red, black, navy and royal blue. It is also available as a telescopic compact windproof umbrella. 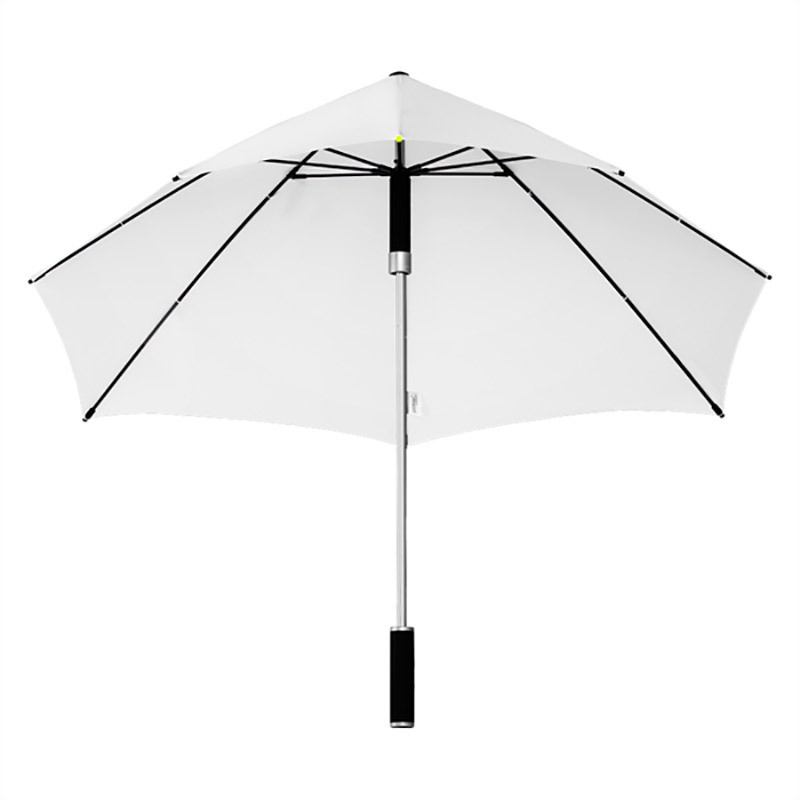 Click for details of the white Stealth Bomber windproof compact umbrella.